At Starbucks redesigning TexasCoders.com and looking at fonts. 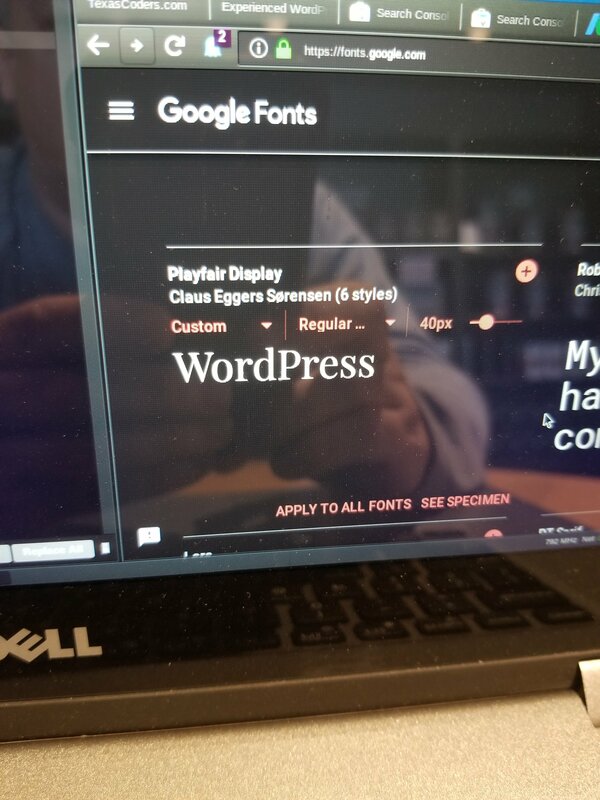 This one renders the “W” in WordPress close to the style of the WordPress logo. Also going to try some ‘handwriting’ fonts that feel more personal.